3 Bedroom Detached Bungalow For Sale in Pwllheli for Asking Price £395,000. 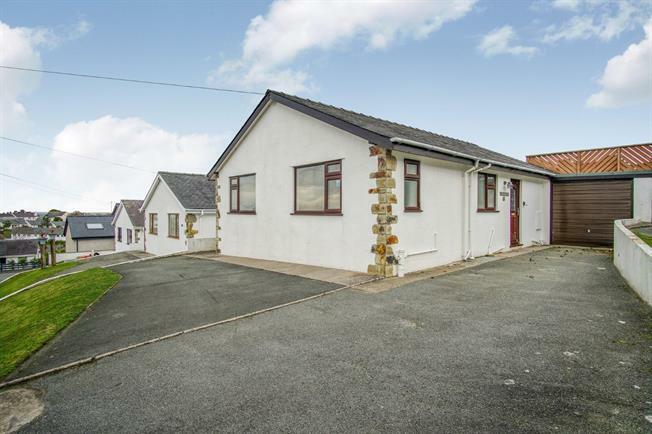 A particularly well appointed modern detached three bedroom bungalow with delightful sea views in Abersoch Village. Abersoch is a highly acclaimed seaside village with Cae Du being the principal development, the properties being predominantly used for second homes and with its convenience to all the amenities it is a popular destination for holiday rentals. A particularly well appointed modern detached 3 bedroom bungalow with delightful sea views, including an attached garage with a sun decking area built above the garage to encompass the lovely views, a small enclosed rear garden with excellent front and side parking. The bungalow lies to the upper part of a cul de sac to this much favoured development to the periphery of the village with all the excellent amenities close to hand. The present sellers have owned the property for many years having undertaken many improvements with the installation of double glazing and a modern Loxone remote controlled electric heating system. An open plan Sitting room and fitted kitchen area lies to the rear with doors opening onto the rear garden to enjoy the sea view, an inner hallway serves the three bedrooms with an en suite shower room to the main bedroom, including a family bathroom. The sellers have also established holiday letting income from the property over a period of years and this provides a useful addition to let out the property when not occupied by the owner.